Welcome to our Bareskin Beauty website “the Site”. By accessing or using the Site, you are acknowledging that you have read, understand, and agree, without limitation or qualification, to be bound by our Terms and Conditions. 3. Eligibility - To be eligible to purchase goods on this Site and to lawfully enter into and form contracts on this Site under English law you must: (a) be aged 18 or older; and (b) register on the Site; and (c) be the holder of a valid debit/credit card. 4. Language - This contract shall be entered into in English. 5. Prices - All prices indicated for products available via the Site are exclusive of VAT (where applicable) at the current rates and are exclusive of standard and express delivery charges. 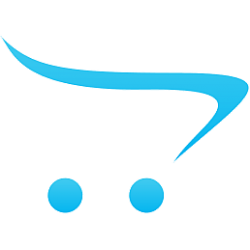 The total cost of your order is the price of the products ordered and delivery charges as set out in the Postage and Delivery section of the Site. 6. Product Descriptions - We will take all reasonable care to ensure that all details, descriptions, images and prices of products appearing on the Site are correct at the time when the relevant information was entered onto the system; however, to the extent permitted by applicable law, we do not warrant that the product descriptions, colours or other content available on the Site are accurate, complete, reliable, current, or error-free. Although we aim to keep the Site as up to date as possible, the information including product descriptions appearing on this Site at a particular time may not always reflect the product exactly at the moment you place an order. We cannot confirm the price of a product until your order is accepted in accordance with our order acceptance policy. See Section 8 below. 7. Purchase Related Policies - The products and services available on the Site, and any samples and promotional and complimentary gifts (if applicable) thereof we may provide to you, are for personal use only. You may not sell or resell any of the products or services, promotional gifts or samples thereof that you purchase or otherwise receive from us. Please note that samples are subject to availability. 9. Payment - You many pay using any of the methods specified in the payment section of the site. By placing an order you confirm that the credit or debit card that is being used is yours. All credit/debit cardholders are subject to validation checks and authorisation by the card issuer. If the issuer of your payment card or Paypal refuses or does not, for any reason, authorise payment to us, whether in advance or subsequent to a payment, we will not be liable for any delay or non-delivery. 10. Title to Goods - We will retain the legal ownership of the goods until full payment has been made by you and such payment has been received in full by us. Legal ownership of the goods will immediately revert to us if we refund any such payment to you. 11. Risk of Loss - Risk in the goods will pass to you upon receipt of the goods. 12. Delivery - We will deliver the goods in accordance with the delivery option selected by you during the order process. Any delivery timescales quoted to you are indicative only. Orders may be delivered in one or more parts. We do not accept any liability whatsoever for delayed delivery caused by any third party. 13. Acceptance of Goods - Upon receipt, you must inspect the goods. You will be deemed to have accepted the goods unless you notify us that you have cancelled the order and/or you return the goods in accordance with the Returns Policy & Procedure. If no such action is taken, we shall not be obliged to accept any rejection of the goods at a later date. Your statutory rights are not affected. 14. Intellectual Property -All content available on the Site, including, but not limited to, text, graphics, logos, button icons, images, data compilations, and software, and the compilation thereof (collectively, the "Content") is the property of Bareskin Beauty Ltd, its affiliates, partners or licensors, and is protected by UK and international copyright laws. The trademarks, logos, and service marks displayed on the Site (collectively, the "Trademarks") are the registered and unregistered marks of Bareskin Beauty Ltd, its affiliates, licensors or partners, in the United Kingdom and other countries, and are protected by United Kingdom and international trademark laws. All other Trademarks not owned by that company, its affiliates, partners or licensors that appear on the Site are the property of their respective owners, who may or may not be affiliated with, connected to, or sponsored by it. Except as set forth in the limited license in Section 10 below, or as required under applicable law, neither the Content, the Trademarks, nor any other portion of the Site may be used, reproduced, duplicated, copied, sold, resold, accessed, modified, or otherwise exploited, in whole or in part, for any purpose without that company's prior written consent. 15. Limited License - We grant you a limited, revocable, and non-exclusive license to access and make personal use of the Site. This limited license does not include the right to: (i) frame or utilise framing techniques to enclose the Site or any portion thereof (ii) modify or download the Site or its contents (except caching or as necessary to view content); (iii) make any use of the Site or its Content other than personal use; (iv) create any derivative work based upon either the Site or its Content; (v) collect account information for the benefit of another party; (vi) use any meta tags or any other "hidden text" utilising our name or the Trademarks; or (vii) use software robots, spiders, crawlers, or similar data gathering and extraction tools, or take any other action that may impose an unreasonable burden or load on our infrastructure. 17. Your Account - You warrant that the personal information which you are required to provide when you register as a customer is true, accurate and current in all respects. You are responsible for ensuring that the personal information you provide to us is up to date. If you’re personal information changes then please notify us immediately in writing. Alternatively, you can update your details through the "my account" page. You are responsible for maintaining the confidentiality of your account and password and for taking all reasonable measures to prevent unauthorised access to your account. You agree to accept responsibility for all activities that occur under your account or password. If you have reason to believe that your password has become known to somebody else, or is likely to be used in any way that is unauthorised by you, you should contact us immediately. If you forget your password we will reset it upon your request and send it to the email address, which you specified when you registered. 18. Third Party Links - We are not responsible for the content of any off-Site pages or any other Sites linked to or from the Site. Links appearing on the Site are for convenience only and are not an endorsement by us, our affiliates or our partners of the referenced content, product, service, or supplier. Your linking to or from any off-Site pages or other Sites is at your own risk. We are in no way responsible for examining or evaluating, and we do not warrant the offerings of, off-Site pages or any other Sites linked to or from the Site, nor do we assume any responsibility or liability for the actions, content, products, or services of such pages and Sites, including, without limitation, their privacy statements and terms and conditions. You should carefully review the terms and conditions and privacy policies of all off-Site pages and other Sites that you visit. 19. Representations and Warranties; Limitation of Liability - The site is presented "as is." We make no representations or warranties of any kind whatsoever, express or implied, in connection with these terms and conditions or the site, including but not limited to warranties of merchantability, non-infringement or fitness for a particular purpose, except to the extent such representations and warranties are not legally excludable. You agree that, to the fullest extent permitted by applicable law, we will not be responsible or liable (whether in contract, tort or otherwise), under any circumstances, for any (a) interruption of business; (b) access delays or access interruptions to the site; (c) data non-delivery, misdelivery, corruption, destruction or other modification; (d) loss or damages of any sort incurred as a result of dealings with or the presence of off-site links on the site; (e) computer viruses, system failures or malfunctions which may occur in connection with your use of the site, including during hyperlink to or from third party sites; (f) any inaccuracies, omissions or misleading, false or deceptive statement in the content; or (g) events beyond our reasonable control. Further, to the fullest extent permitted by law we will not be liable for any direct, indirect, special, incidental, or consequential damages of any kind (including lost profits) related to the site regardless of the form of action whether in contract, tort (including negligence), or otherwise, even if we have been advised of the possibility of such damages. 20. Indemnification - You agree to indemnify Bareskin Beauty for any loss, damages or costs, including reasonable solicitors' fees arising from any third party claim, action, or demand resulting from your use of the Site. You also agree to indemnify us for any loss, damages, or costs, including reasonable solicitors' fees, resulting from your use of software robots, spiders, crawlers, or similar data gathering and extraction tools, or any other action you take that imposes an unreasonable burden or load on our infrastructure. 21. Disputes - Your use of this Site and any purchase by you of any goods from Bareskin Beauty shall be governed by English law and the parties hereto submit to the exclusive jurisdiction of the English courts. 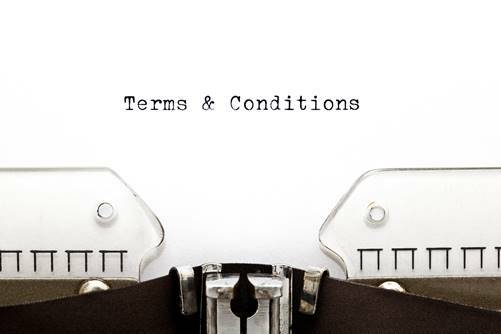 NB: Nothing contained in these Terms and Conditions shall be construed as creating any agency, partnership, or other form of joint enterprise between us. Our failure to require your performance of any provision hereof shall not affect our full right to require such performance at any time thereafter, nor shall our waiver of a breach of any provision hereof be taken or held to be a waiver of the provision itself. No failure to exercise and no delay on the part of either party in exercising any right, remedy, power or privilege of that party under these Terms and Conditions and no course of dealing between the parties shall be construed or operate as a waiver thereof, nor shall any single or partial exercise of any right, remedy, power or privilege preclude any other or further exercise thereof or the exercise of any other right, remedy, power or privilege.